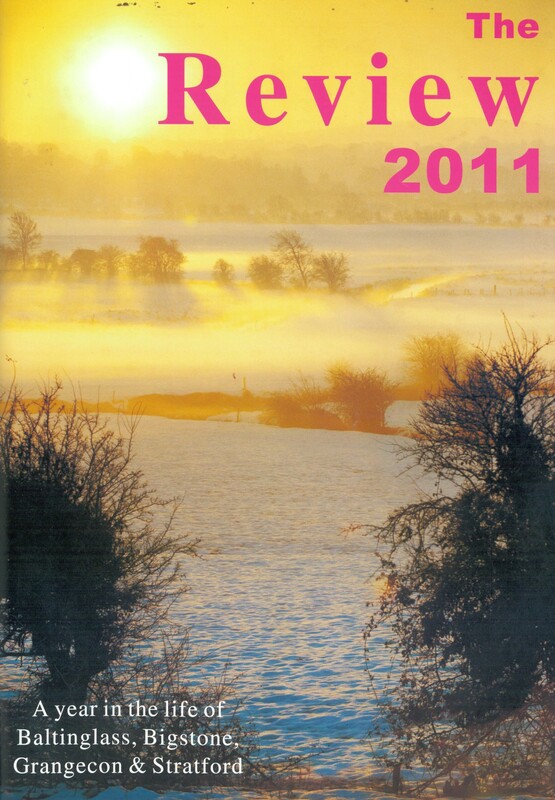 Full title: The Review 2012: a year in the life of Baltinglass, Bigstone, Grangecon and Stratford. Creator / Author: Compiled by the Communications Sub-Group of St. Joseph’s Parish Pastoral Council, Editorial Board: Paula Burke, Margaret Brennan, Sr. Eileen Deegan…et al. 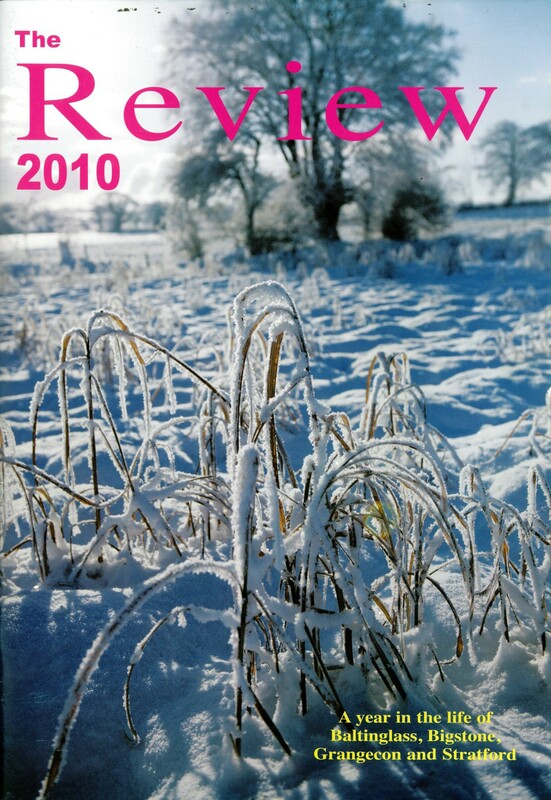 About: This is the ninth issue of an annual publication. 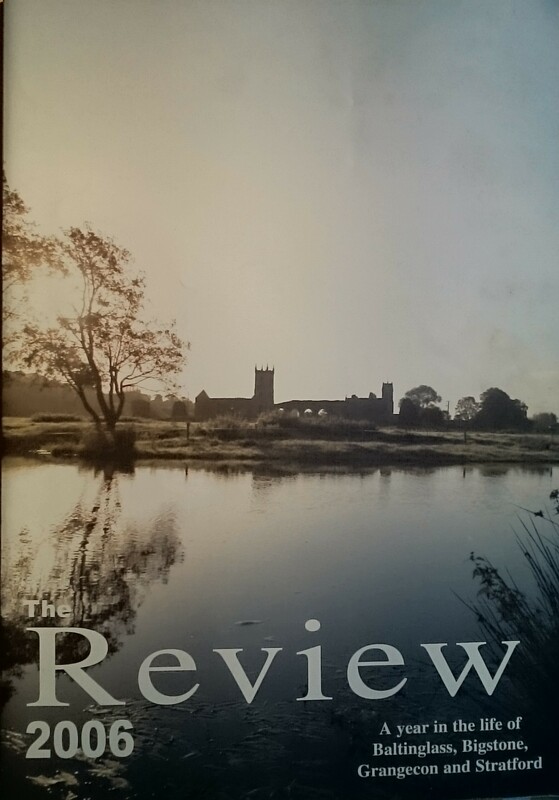 Within its A4-sized format, it chronicles activities in the parish during the year, publishes short articles of general or historical interest and includes photographs past and present. Contemporary advertisements help to provide a snapshot of local economic activity. Contents: A Word from the Parish Priest / Tommy Dillon – Foreword / Mary Hanlon – A Spiritual Journey of Love / Marie Halstead & Lotto – Active Green Flag / Breda Lane — Holy Communion 2012 / Confirmation Classes 2012 [photographs] – London 2012–the West Wicklow Connection – Scoil Chonglais Debs 2012 [photograph] – The Celtic Tenors Concert / Anna Mae Timmons – A Journey Through the Seasons / Mary Ryder – Gaisce the President’s Award — Wedding anniversaries – Active Retirement Ireland / Mai Quaid – 50th International Eucharistic Congress, Dublin / Kay Halstead – Camino / Pat and Sarah Fleming – Tearmann Community Garden – Baltinglass Adult Learning Centre – Weddings [Photo Gallery] – Eucharistic Congress 2012 / Myra Kearney and Ronan Moore – My Visit to the Eucharistic Congress at the RDS / Vera Cogan — Baltinglass & District Forum – Baltinglass Get Vocal Choral Group 2012 / Mary Hickson — The Baltinglass No Name Club – Corporal Michael Nolan – Love Rain! – Baltinglass’s Peadar Timmins Captains Ireland – Deaths in Baltinglass Parish from October 2011 to September 2012 – John McGrath – A History of Baltinglass District Hospital – West Wicklow Historical Society — Baltinglass & District Active Retirement – The Titanic Experience-from Halifax, Nova Scotia to Belfast via Baltinglass! — Baltinglass G.A.A. Club – Baltinglass Ladies GFC a review of the year – Baltinglass GAA Juvenile Report 2012 — Weddings in St. Joseph’s Parish from 1st October 2011 to 1st October 2012 – Celtic Cross FPS / Elaine Jones — [Photo Gallery] – [Kiddies page] — Stratford Grangecon GAA Club 2012- a historic year – College Life in the War Years Part 2 / Frank Hunt – Celebrating the Harvest — Lalor Centre – The Borumha Tribute / Frank Hunt –First Green Flag for Scoil Naomh Iosaf – Joe Germaine — Baptisms in Baltinglass Parish from 1st October 2011 to 30th September 2012 – My Time Volunteering in Uganda / Mary Healy – Cullen Trophy Champions 2012 / Niall Doogue – London 2012 Olympic Games / Tommy Doyle – Greetings – Proposal for a River Walk alongside the Slaney River at Baltinglass, Co. Wicklow – Ned Kehoe gets his dream machine / Ned Kehoe. 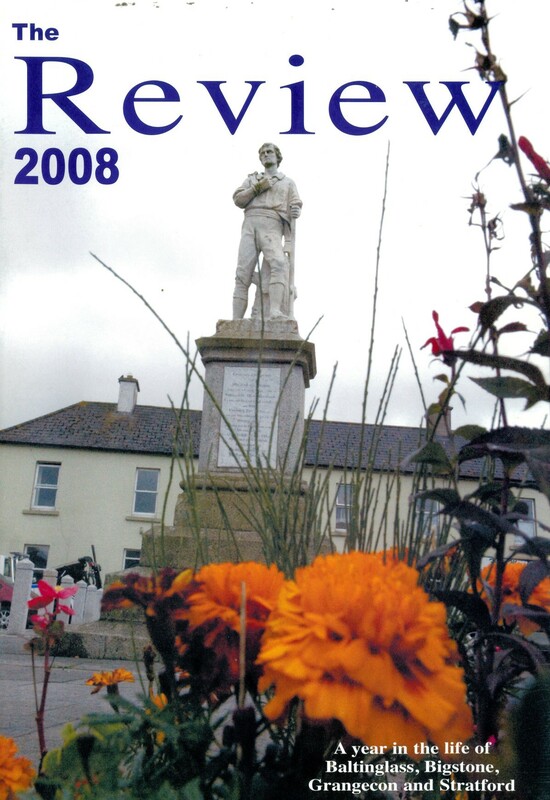 Full title: The Review 2007: a year in the life of Baltinglass, Bigstone, Grangecon and Stratford. Creator / Author: Compiled by the Communications Sub-Group of St. Joseph’s Parish Pastoral Council, Editorial Board: Paula Burke, Margaret Brennan, Bernie Doogue…and others. 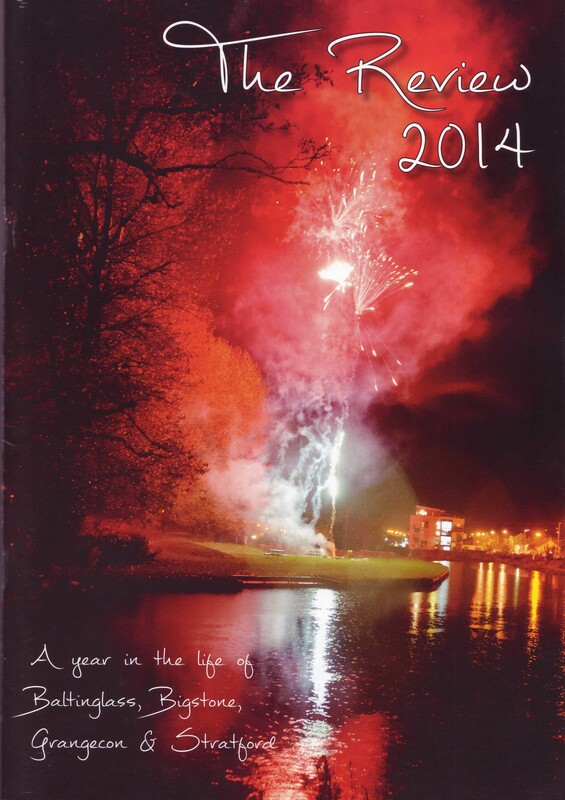 About: This is the fourth issue of an annual publication. 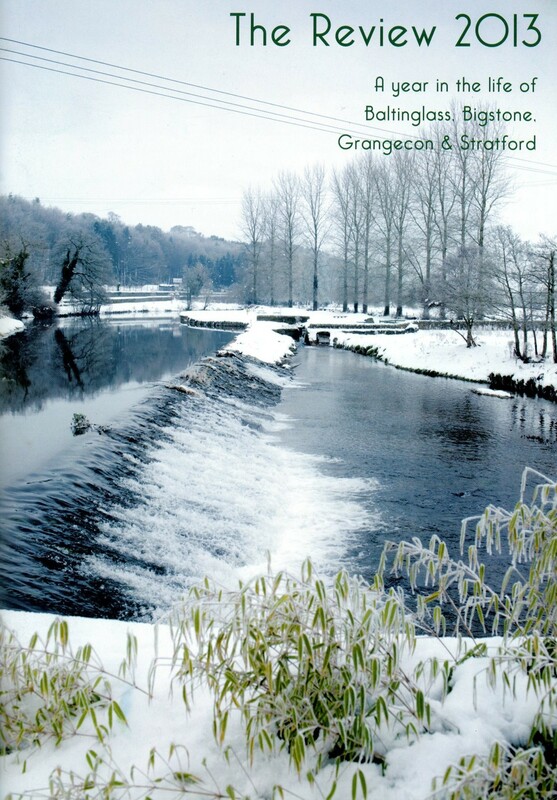 Within its A4-sized format, it chronicles activities in the parish during the year, publishes short articles of general or historical interest and includes photographs past and present. Contemporary advertisements help to provide a snapshot of local economic activity. Contents: A Word from the Parish Priest / Tommy Dillon – Foreword / Assumpta O’Neill – 50th Golden Wedding Anniversary – A Letter to a Bank Manager – A Beautiful Day in May / Matt Thompson – Michael Dowling – Highlights from the year 2007 in Baltinglass Hospital — Baltinglass Ladies GAA Club / Damien Patterson – Baltinglass Scout Group / Nellie Barrett – Only Memories Sport and Recreation / Sean O’Toole – Baltinglass Town Boys – The Debating Society / Ciaran Keegan – Mick O’Dwyer / Martin Coleman – Tommy Murphy Cup / Martin Coleman – Pinnacle Baltinglass Hill / Tommy Doyle – My School Days as Recalled / by Tommy O’Connor – Success for Scoil Chonglais Students in BT Young Scientists 2007 – Baltinglass Boys Now Resident in Las Vegas – Our First Radio / Tony Leigh – ‘You’re a Star’ came to Baltinglass Day Care Centre this May for the Bealtine Festival 2007 – Tearmann Community Organic Garden and Wild Life Area / Sister Mary Carmody – Scoil Naomh Iosaf / Eimer Burke – Baltinglass Women’s Group – Photo Gallery – Sallins/Tullow Railway Branch / Matt Thompson – Greetings — Baltinglass & District Active Retirement Association / Mary Vernon – School Days on Chapel Hill / Phyllis Flanagan – Young Art Students – Baltinglass GAA Club: summary of all activities during 2007 – Baltinglass Football Players 1950 [photograph] – Weddings in St. Joseph’s Parish 2007 [photographs] — Stratford/Grangecon GAA – The Ambulance Driver / Bobby Lennon – My Trip to Uganda / Eilish McDonald – Very Rev. Fr. PJ McDonnell – an appreciation / F. P. Hunt – The Post Office – What’s in a Name? / Mary Ryder – A Snapshot of Life and Working in Africa / Mairead Petersen – Grange Con Boxing Hall – Bigstone – St. Mary’s Folk Group Stratford / Brigid Bollard – A Message from Afar / Mike Murphy – Holy Communion 2007 [photographs] – Confirmation Classes 2007 [photographs] – Baptisms in St. Joseph’s Parish from 1st September 2006 to 30th September 2007 — Weddings in St. Joseph’s Parish from 1st September 2006 to 30th September 2007 — Deaths in St. Joseph’s Parish from 1st September 2006 to 30th September 2007 — Kid’s Page – My First School / Seamie Donohue – Baltinglass Youth Club – Competition for the Cover 2007 – Baltinglass Citizens Information. 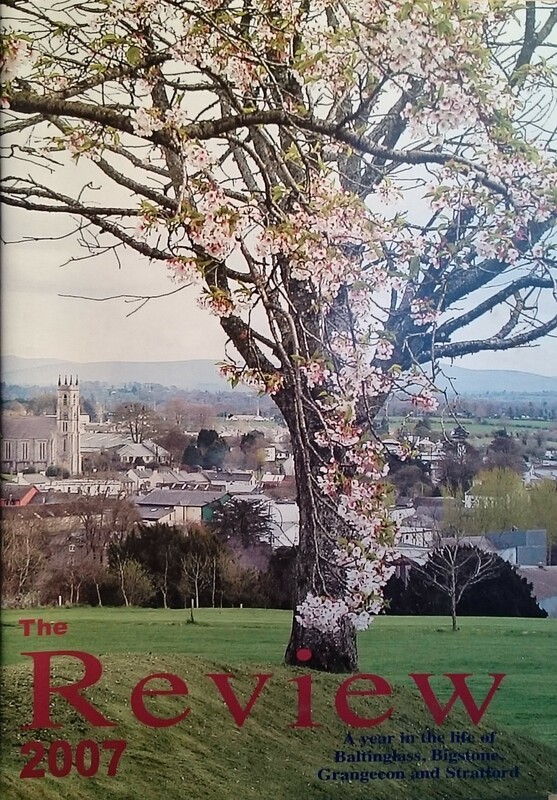 Full title: The Review 2006: a year in the life of Baltinglass, Bigstone, Grangecon and Stratford. About: This is the third issue of an annual publication. 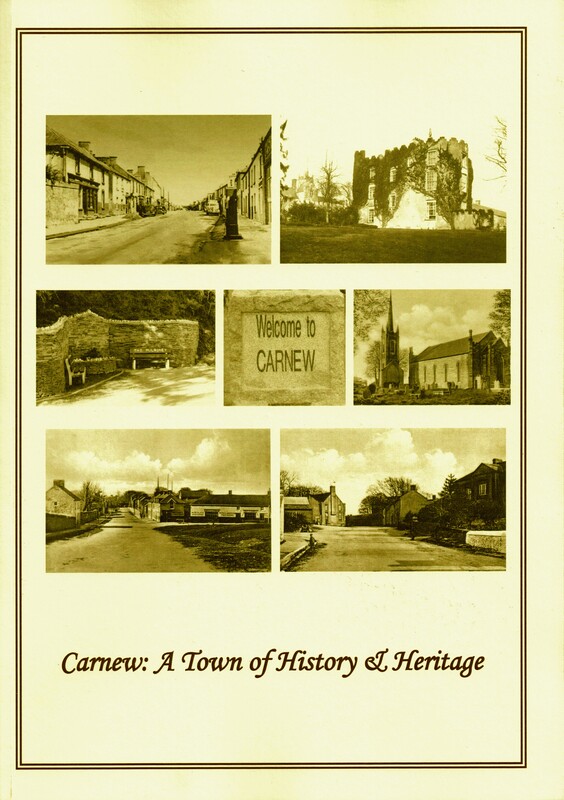 Within its A4-sized format, it chronicles activities in the parish during the year, publishes short articles of general or historical interest and includes photographs past and present. Contemporary advertisements help to provide a snapshot of local economic activity. 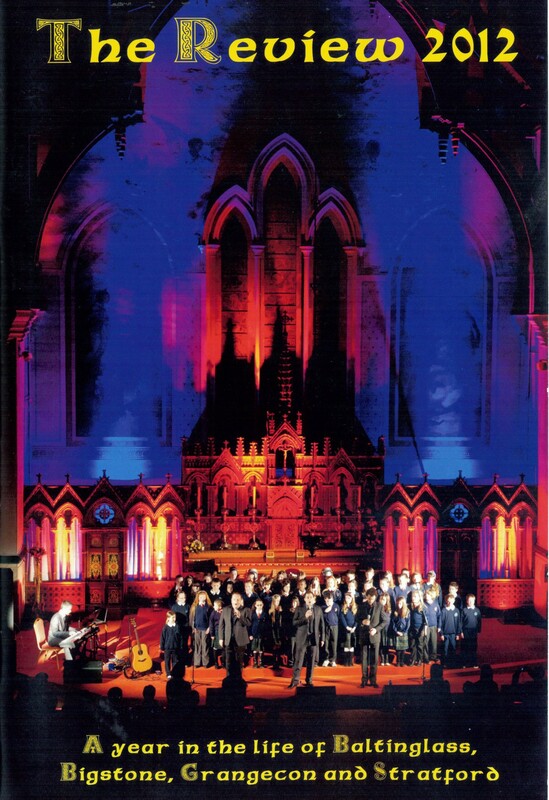 Contents: A Word from the Parish Priest / Tommy Dillon – Foreword – The Transition Era / Frank Hunt – A Mission of a Lifetime with Habitat for Humanity in Nicaragua / David Brennan and Abe Scheele – Baltinglass Ladies GAA Club / Damien Patterson – Baltinglass Bowls / Edward Lawrence — Saint Josephs Church Baltinglass – Moving Home / Gerorda Stamp – Special Olympics Ireland Games in Belfast – Fairtrade Fortnight / Fr. Pádraig Shelley – Ryder Cup Experience / Mai Quaid – 4th Wicklow, Baltinglass Scouts Group / Nellie Barrett – Gasoga Catoilieidhe na hEireann (Catholic Boy Scouts of Ireland) Kildare and Leighlin 4th Wicklow Division – Grange Con Cricket Team – Quinn’s Golf Society – Baltinglass Town A.F.C. – Baltinglass Badminton Club Opens New Facility – Naomh Padraig / Mary Ryder – My Mosney Memories / Hannah Dowling – Stratford on Slaney National School – School Garden – A Dream Come True / Alan Norton – From Grangecon to Baltinglass / Kathleen Fleming – Orla Long — Picture Gallery – Tearmann Garden / Mary Carmody – Wicklow Vocational Schools Team Win the All Ireland – Scoil Chonglais Takes Top Prize in Environmental Awareness Awards – Paddy McDonald – Bigstone National School – Feile Peil na nOg – Three in a Row for Scoil Chonglais in Thrilling Camogie Clash – Our Parish Mission — Baltinglass Adult Learning Centre / Annette Mangan – John Thomond O’Brien – The Tullow Line / Cora Crampton – Baltinglass & District Active Retirement Association / Mary Vernon – Baltinglass Park – Trek to Everest Base Camp / Eddie Hillan – Stratford / Grangecon GAA Juvenile Club – Bacon Curing in Baltinglass in the Early Part of the Century / Maureen D’arcy – Fair Days in Baltinglass in the Late Twenties / Tommy O’Connor – Feile Peil na nOg / David Whelan – Balto Rocks – Kid’s Quiz – Back Cover Picture Gallery. Extra #1: Contains three full pages of photographs, not counting pictures included in individual articles.